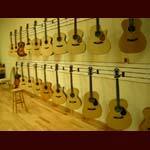 Please E-mail us at Kenn@Pguitars.net or call Kenn at 608-513-1158. "Hi Kenn, I just wanted to drop you a line to tell you what a pleasure it was meeting you. I also wanted to thank you for all that you did to put this "dream guitar" in my hands...I look forward to , in the not so distant future, talking about the next guitar that I will get from you. The sound and craftmanship of this Kronbauer is beyond discription. You did a very accurate job discribing it and how pleased I would be. Thanks again for everything." "Hey Kenn - when I found the Kronbauer Ziricote on your website I immediately knew I had to have it as this was exactly the guitar I had been looking for. The instrument arrived last week in a seriously well packed box and it is everything - and more - I had hoped for. What a sound!! Thanks for your help and be sure I will be checking your website regularly for other treasures. Keeponpickin' "
"Hi Kenn, Thank you for the opportunity to work with you to get this great guitar. We received it Friday, right on as you said. I feel your professional manner is great, made it easy to purchase something so valuable without ever hearing it or touching it. It was well packed, and no shipping problems. Again, thanks Kenn. If you ever need a good endorsement, I'll be glad to give ya one." "Hello Kenn, The guitar is here, more beautiful than in my dreams. It's dificult for me to believe. It's the first time I have bought an instrument abroad. I didn't think that it would be so easy. Only seven days and the guitar is home. I'm very happy that I have discovered your shop on internet. Thanks again." "My goodness ... I am speechless. This is about the finest instrument I have ever held and it will take a place of honor right next to my Webber sunburst 12 string. David, I can see that you put your heart into this piece ... the tonewoods,fit and finish are gorgeous and the sweet, rounded and balanced sound is really incredible. I just wanted you go know how much I appreciate this instrument and what it must mean to you to craft something so beautiful. I know I will spend many long hours playing this wonderful guitar. It really is a special piece. Thank you so very much. By the way, Kenn you have been great to work with over these past few years. Thanks for your trusted advice." "I have been looking for a new 12-string for a long time. Kenn (Paramount) and David (at Morgan Guitars) came up with the perfect 12-string for me.It took only three months for David to make.Thanks for all of David and Kenn's work. Looking forward to getting a six string guitar from Kenn." "I thank you very much for the strings, for the communications, for the telephone conversations, and last, but not least...for the doozy of a Duesenberg!...Thanks, thanks, thanks and thanks!" "The Northwood came today...all I can say is WOW. The sound is amazing and the guitar is as you said...mint...I’m finding it hard to put down. Thanks so much for a great guitar and a flawless transaction. Thanks again and best regards!" "Even though Kenn at Paramount Guitars would hate to use the word "mint," I received an eight-year-old National Resonator in beautiful mint condition. Kenn has an eye for a fine guitar! Also, he worked with me on Sunday to get an order out on time and on time it was!" "Hi Kenn - I've got [the guitar]. It sounds really great!!! Great bass. Well balanced as you told me. And it has wonderful woods too. I'm very happy. Thanks a lot, you've been simply perfect..."
"Hey there Kenn, Thanks for the quick shipment and for solving all my doubts, the guitar's shape is as good as you described it, and I have not seen better packing for an acoustic guitar yet... man, it could have fallen down from the plane and I doubt it would have suffered. It's been great to deal with Paramount Guitars, I can recommend it to anyone interested in good guitars and professional attention." "The M-14c that I got from you is sublime. The wide yet soft "c" neck profile makes for effortless play. The tone is rich with overtones and incredible balance. I am not certain this is the best guitar I've ever owned (and I've owned some amazing guitars over the years: Collings, Lowden, McIlroy, Martin Golden Era and Marquis, Gibson custom shop, Larrivee, Webber and more.) Impeccable craftsmanship with an understated aesthetic. But tone, tone, tone in large supply. Plugged in there is a lot of tonal control (with the older blended pick up system) and a very natural signal coming out. The Lakewood is far and away my favorite guitar for finger style." "Kenn, I just wanted to tell you that I got my guitar in and I'm a very happy camper! Thanks for your help and best of luck to you." "Thanks so much for your help in selecting my new acoustic. Dealing with you was a most excellent experience. I sent you an e-mail describing the tone I was after - an ethereal undertaking, at best. You met with me at the shop at a time convenient to me. You already had a few guitars selected for me to try out based on what I had told you. You had me try a few others. Remarkably, the first guitar you selected for me to try was the one I ultimately purchased. It was a great match for me in tone, action, neck size and body style. And, as a bonus, it was among the lowest priced guitars I sampled. Unlike my experiences at some other stores, there was no attempt to sell me a a Brazilian D-45 or some limited edition authentic signature replica. You learned what and how I play, listened to my description of tone preferences, and nailed it in helping me select a guitar that is a match for me. 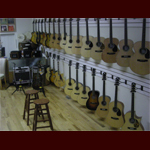 Hanging in your shop, surrounded by guitars, talking with someone with your depth of knowledge and who shares the passion for music is a fine experience well worth several hours of one's time. When (not if) I purchase another guitar, I will be back." 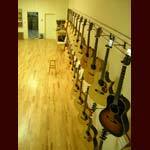 "Hi kenn, I just got the beatiful Lakewood guitar. I love it! It fits perfectly with my other guitars. It kinda completes the sound :D. Your shipping to me was perfect. To anyone who considers a guitar or anything from Paramount: You will be very pleased and assured of complete satisfaction!!! I will cherish my guitar. Thank you soo much!" "Kenn, I have got to tell you how pleased I am with my recent purchase of the House Piedmont. I had been on a long search for the right guitar. 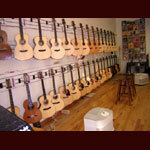 I went to all my local high end guitar shops and played many outstanding instruments. When I found your store online I listened to every guitar you played and there was something about the House Piedmont that jumped out at me. I called about it, dreamed about it (literally), made an appointment and when I played it I knew it was the one. A few weeks later now and more adapted, the House just keeps sounding better. In review, the guitar has amazing projection, thick vibrations, clear singing highs, thumping lows and absolutely beautiful mids! It is a great pleasure for fingerstyle playing and a complete relief to listen to. Thank you for your help!" "Hi Kenn -- I have noticed that you are a man of few words so here are a few of mine...Just to let you know I picked up my new guitar at 6:30 PM on Monday evening on my way back from Ireland (it is now 1:00 am on Friday morning). I got to bed at 5:00 AM on the first night and 3:00 AM on the second tonight. Anyway this is my first quality acoustic; What a wonderful thing! I was taking a chance buying it without playig it, and in life it is great when a gamble pays off and I am very happy. I am sure it has improved my playing or maybe it just sounds better. Anyway, I was born about half a mile from where these guitars are made and lived until I was 13 a few hundred yards from there, and it amuses me that this guitar has gone all the way to a fancy sounding place like Wisconsin and ended up with an Irish ex-pat from just down the road. But more importantly, it sounds great and will just get better over the years. 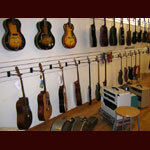 All the best and I hope that you sell many more guitars and all your customers are as pleased as me." "I just received my Webber 000 12 fret. Wow...what a guitar! The clarity, responsiveness, and overall richness in sound and tone is fantastic. This Webber blows away any comparable Martin or Taylor that I've owned or played for waaay less money. The craftsmanship is superior (it's hand made!) as well as the playability and sound. Don't believe the hype and marketing of big box store brands. Come here and Kenn will treat you right with great knowledge, advice and terrific customer service. He knows what he's selling because he has played them all himself. 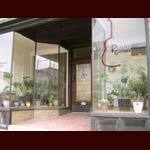 You won't regret doing business with Paramount guitars." "Wanted to take a minute to sincerely thank you for you help and patience in my acquisition of the beautiful Northwood 00-14. I have yet to encounter any guitar dealer who was willing to spend as much time in assisting me with my purchase. From graciously allowing me to return the first guitar I ordered secondary to it just not working for me, to patiently advising me on recommedations for a guitar to alleviate some of my shoulder and wrist issues, to guiding me to this wonderful Northwood once we had decided what I needed; the entire process was comfortable, enlightening and quick! Without a doubt, for any future guitar purchases I will turn to Paramount Guitars first!" "Hi Kenn, The best thing that has happened to me in my musical life this year is the discovery of Paramount Guitars. I only wish I had found you sooner. If you are a musician, whether a performing artist or someone who just plays for fun these days like me, this is the Holy Grail. I found wonderful hand crafted instruments by luthiers with whom I was not previously familiar, but whose guitars I now know are among the finest available in the world. I was also able to receive invaluable guidance and assistance from you regarding my personal needs and desires, my physical limitations, and how best to deal with them. The service is terrific, and I have called you at many different times during the day and you always made time for me. You have the patience of Job. You gave me honest and straight-forward advice, including some "parental" coaching when I needed it. I am now proud to say I own two guitars I purchased from Paramount that bring a lot of joy to my life, and that are suited for me. Many thanks also for the careful and diligent "hurricane -proof" packing for shipment, the best I have ever experienced. What a magnificent concept you came up with in Paramount Guitars, delivered by a navigation friendly and functional web site with many different and practical music-related features and information. 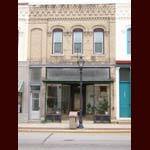 I would love to visit your storefront in Watertown someday. 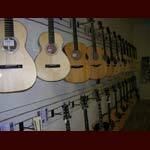 The highlight of the web site is, of course, a well-stocked inventory from most of your luthiers, with detailed pictures and actual sound bites from each guitar. You even take the time to provide, in many cases, both finger-style and flatpicked recordings, which incorporate standard and open tunings. The ability to view the different luthiers' models, and then hear the guitars in action is invaluable in the decision-making and selection process. The sound bites are live excerpts from your own records, and that was an unexpected bonus, as I have now added two of your original acoustic guitar works to my CD music library. It's been great to work with you, and I know I have another guitar or two left in me. It's not very often you get to deal with a music teacher, artist, professional businessman , and a nice guy in the same package." 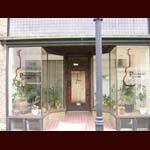 "Hi Kenn, Just wanted to thank you for all your patience and help in finding the right guitar for me. 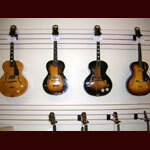 It took us a while but with your helpful and professional insight and manner we found the guitar that was right for me. The Webber 00 is more than I expected and exactly as you described it. For a little 00 it has a big sound and your set up is great; easy to play and easy on my hands. Thanks for taking the time to talk to me, and for all your patience as we shipped several guitars back and forth across the country until I found the one that was right for me. I'll be back again when I am ready for my next "handmade" guitar. You opened my eyes to new possibilities, and for that I am grateful." "Dear Kenn, I had a pleasant surprise last evening when I came home. Yes! The OM was delivered ahead of time! The packing is very professional. Guitar was well protected. Thank you very much. It was everything that you have described and it plays like a dream. You are right! I couldn’t put it down! Thank you once again. I look forward to buying another good guitar from you." "I received Brook Torridge today and it is fantastic! Just what I was hoping for only in even better condition. Thanks for taking care of me and for the incredibly professional packing - much appreciated!! Count me a happy customer and I'm certain I will find something else in your "candy store" in the future. Feel free to publish my comments on your website as well."